COMMS WING was developed to work with the SPITFIRE Plate Carrier side ports. 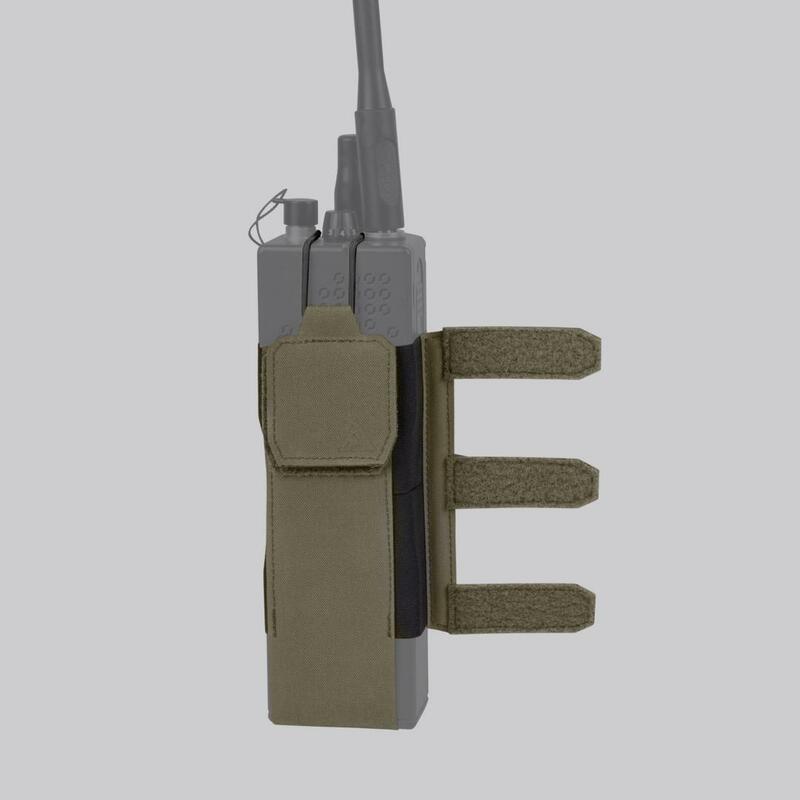 It enables attachment of a personal radio right next to the plate, with cummerbund wraping over it, to save mounting space on the plate carrier. Height-adjustable and with expanding sides to accommodate various radio models, with elasticized loop closure to prevent loosing the contents. The panel is ambidextrous: can be attached on either side of the carrier.